As much as I hate to admit it, I'm a Starbucks Lover. I love sweets, and I see Starbucks more as a candy shop than a coffee shop. For real coffee, I'll go elsewhere... But to satisfy my sweet tooth, I'll head to Starbucks. 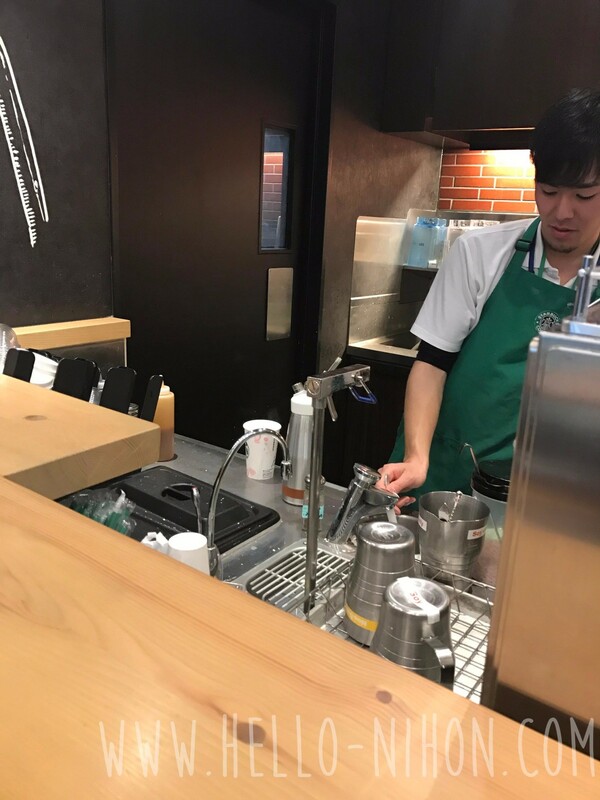 Surprisingly though, I haven't been to Starbucks much since I've been in Japan. Money had been tight when I first moved in, so that was my excuse then. My excuse now is that I'm trying to cut out a lot of unnecessary sugars. 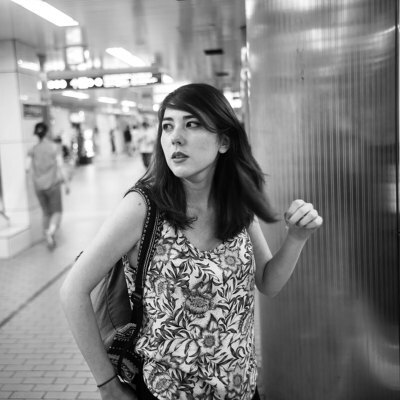 However, since I'm such a sucker for seasonal things and cherry blossom is the epitome of that, I made an exception. 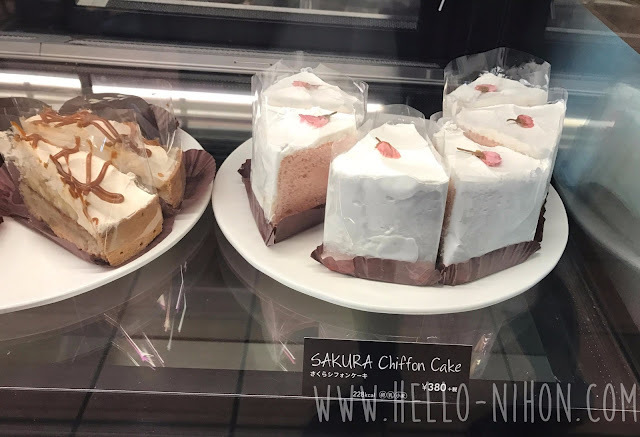 In addition to the sakura drinks, they also had a gorgeous sakura chiffon cake. It looked delicious and I was so tempted to buy it, but we were going to lunch right after so I resisted... Plus the Starbucks we were in was really crowded and there were no seats, and I didn't want to eat it standing up or walking around. Unfortunately, it didn't taste very good. The fake sakura flavor just came off as a slightly-off artificial cherry, and that didn't taste that great with milk. If you couldn't guess, there's like no coffee in this "latte". They got the hot steamed milk part of a latte down, though, and a majority of the cup was that. 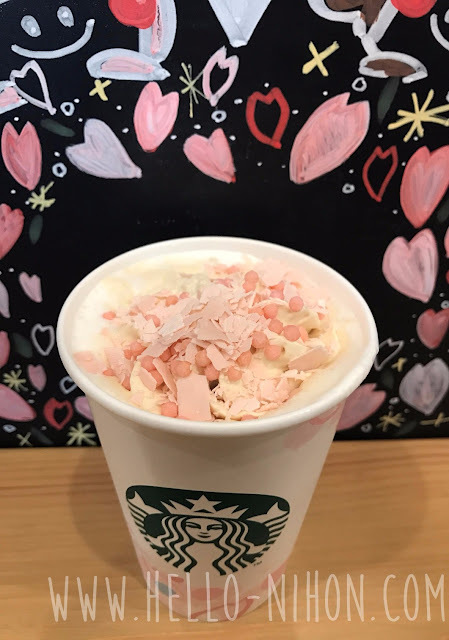 Though, when the chocolate started to melt, it infused the milk and cherry syrup with a subtle chocolate flavor, which was pleasant. Unfortunately, at the same time, the puffed rice balls also sprinkled on top of the drink got soggy the longer they sat there, and those went from yummy to yucky pretty fast. 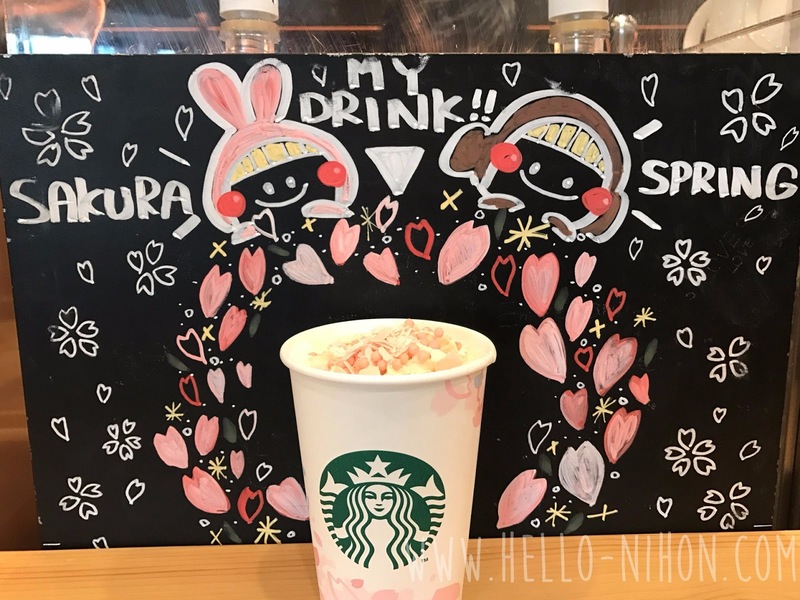 Oh well, I still can't wait to try next year's sakura concoction... And maybe I'll get the sakura frappuccino. I still have time, as these are around until March 14th!